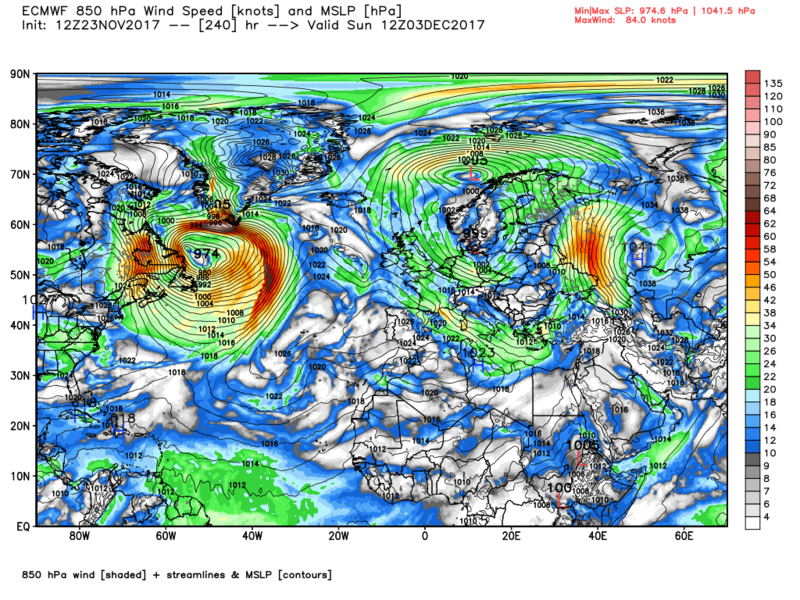 To answer the query of those concerned in the later stage it looks to me as if the reason for the pressure fall is that the low at day 6-8 becomes negatively tilted but too slowly to prevent the core of the heights being sunk and absorbed into the Azores. At day 10 though it does look like enough of the ridge made it north (and heights are sufficiently strong to our north east) that the low would probably make it through south enough to just reinforce the northerly. For something "meaningful", yes maybe. Then again I woke up to a covering of wet snow this morning and the uppers were nothing like as cold as -8, and I'm <100m ASL too. I also saw falling snow on my way to work this morning, and all the hills above about 300m were white. It's only November, so we should take any chance we get, meaningful or not, and be happy with it. 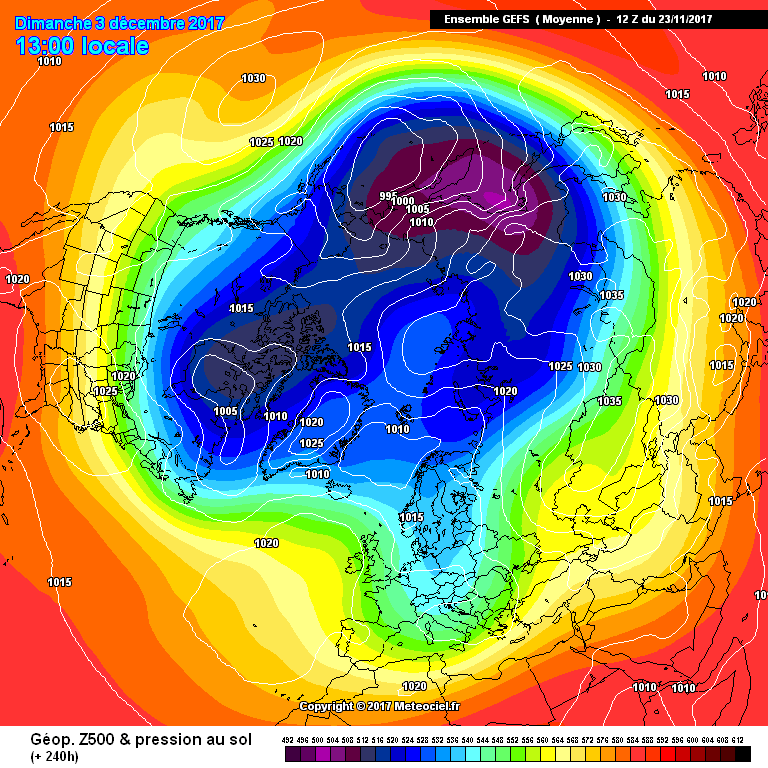 The UKMO looks similar to the ECM at T168hrs. The complicating factor is that shortwave ahead of the main upstream troughing , that needs to disrupt se not head ne after T168hrs. That could still happen , energy distribution is poorly handled by models in the longer range . 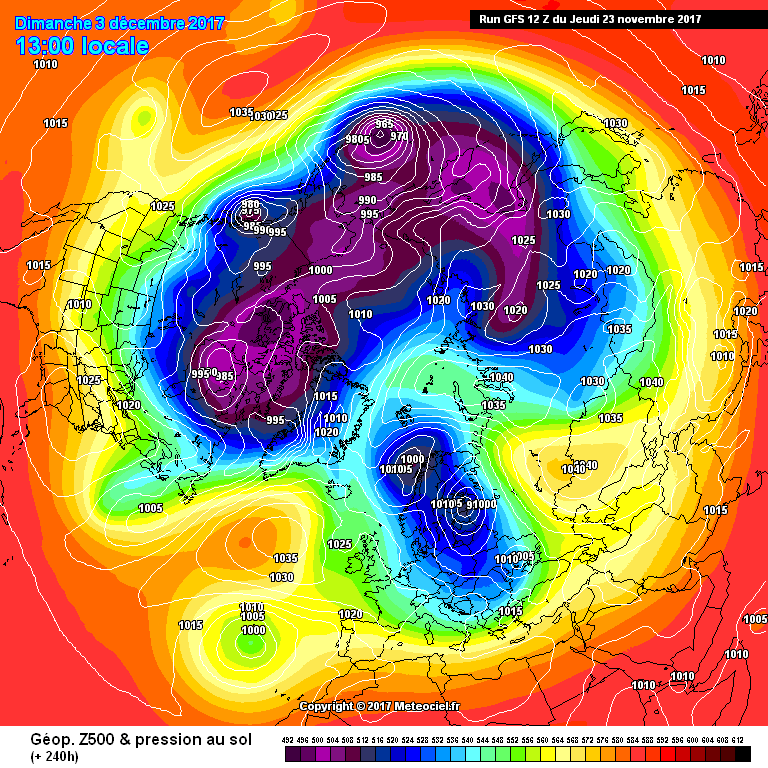 A quick summary of the models and general overview as we head towards the start of Winter. 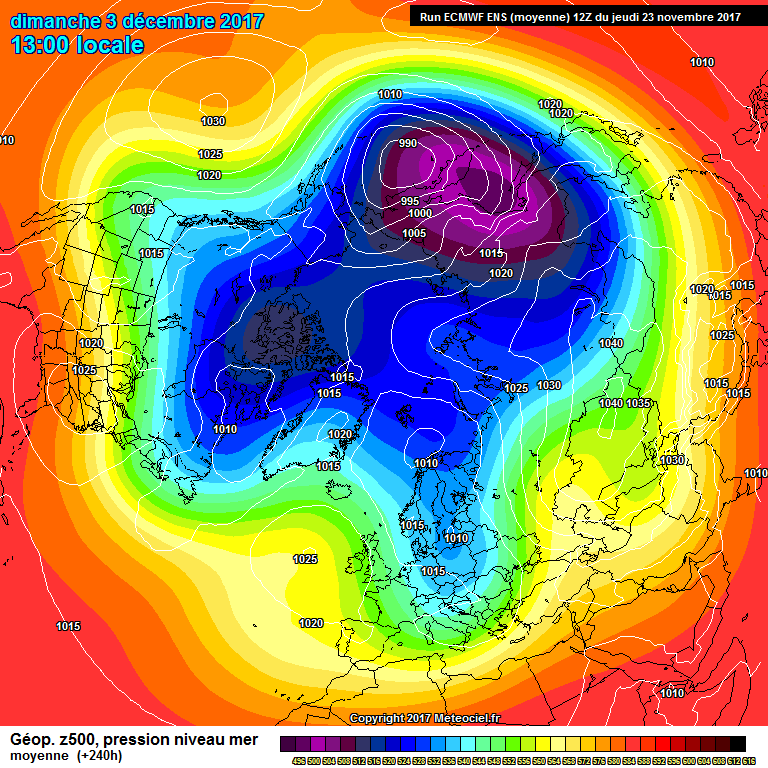 Ecm control for debilt falls off the cliff post day 10. 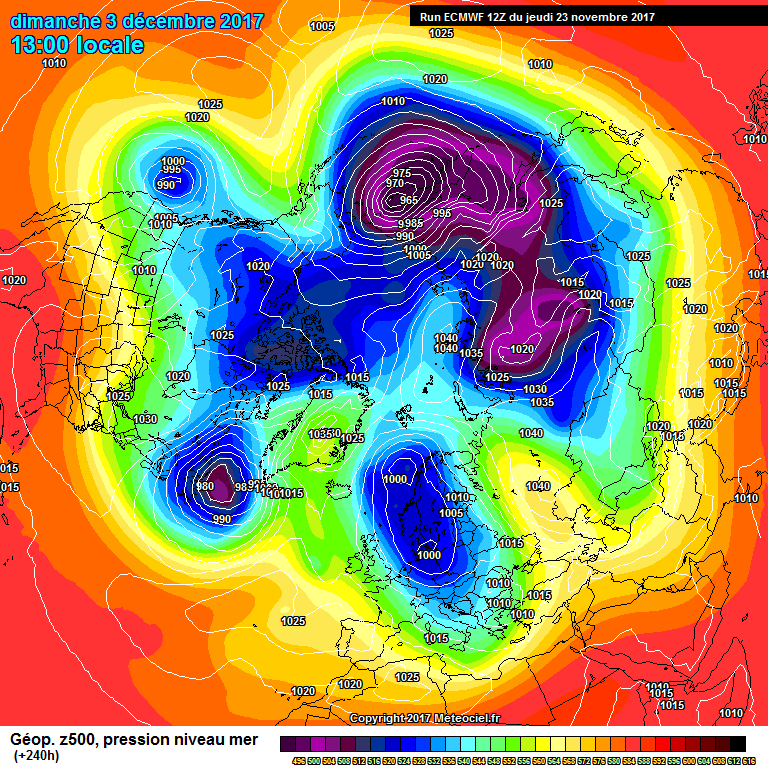 Would assume thats a very cold trough sweeping in on the eastern flank of the High..
EC ensembles - by D8 most have high pressure between Dublin and Iceland. Mainly cold and dry, and precip. (if any) mainly confined to SE. On this occasion, the mean is a pretty good guide. Yes, the control is very cold at the end of the run. Easterly winds! 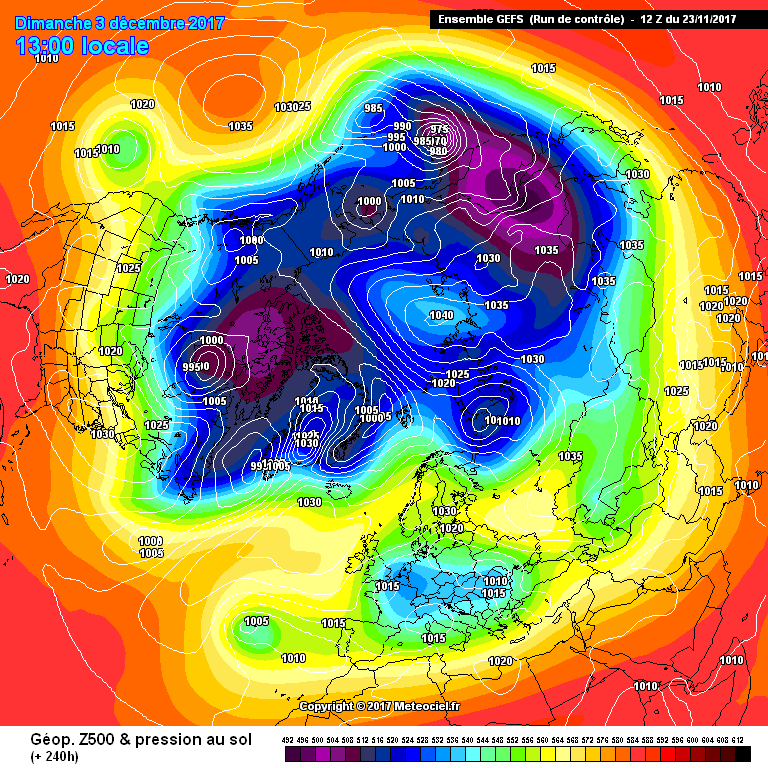 Yes if thats an easterly then it shows how quickly the continent can get very cold!! Winter is Coming and it looks like its woken the Beast from the East !!! 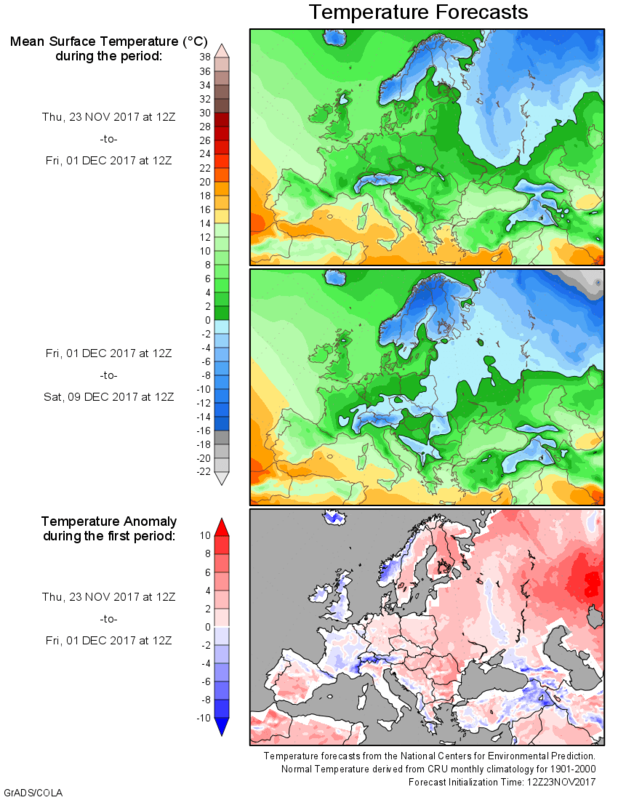 Fwiw, the ec control undercuts the Atlantic ridge which provides for the euro trough to re invigorate which brings colder uppers from the east - the uk and most of n Europe under blocking. Looks like there is undercutting in the Atlantic to me and some ridging towards Scandy- i wonder if a scandy high is out of the question? 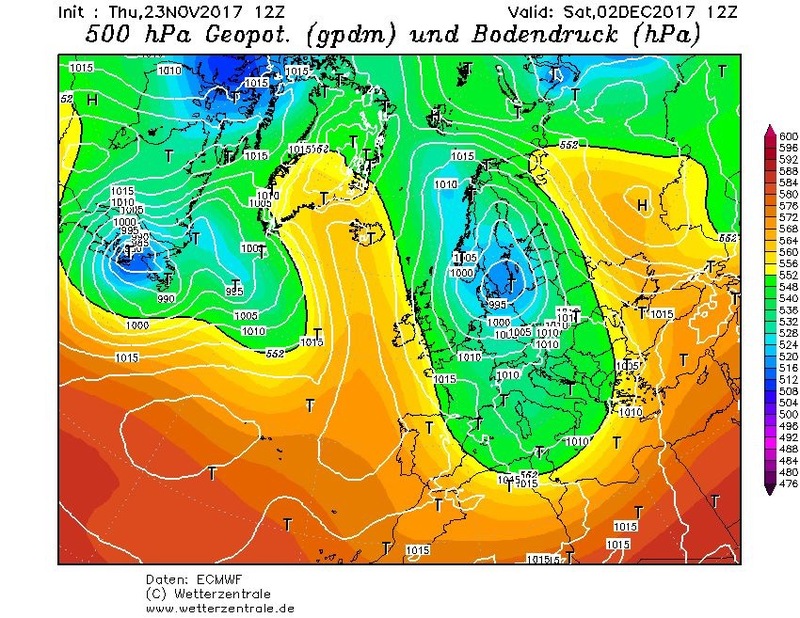 The ecm det run also had a low with associated fronts west of the high at T168 but it doesn't undercut the high but forces the leading front through it you can see it as a feature on the T240 analysis, not that this will verify of course. Sounds too good to be true- therefore probably is. Yes indeed. Classic “wishbone” effect from a northerly wind. However I believe the significant snow of Dec 1990 was from a northerly. Will have to check that out in the archives.  Just checked the (new?) ECM northern hemisphere archives. December 1990 was a strange evolution (follow it through from 1/12/90). Northerly to a North Easterly to a full on Easterly. 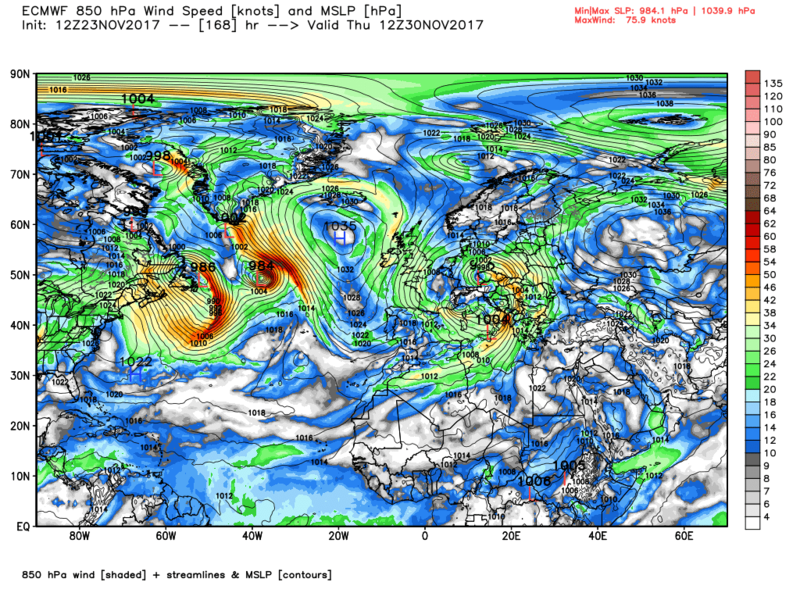 Looking at the vortex then (seemingly quite strong) then the current situation is a totally different ball game. 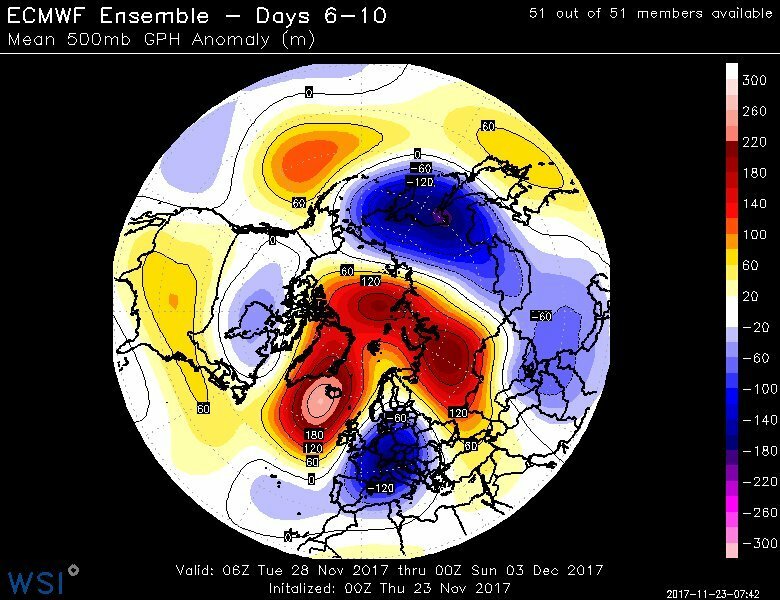 Very happy tonight with ecm cold wintry outlook upper air temperatures not special yet but if it continues it only get colder and colder..
the 500mb height anomoly's from the NOAA shows more ridging into the Atlantic from the last couple of days,big chunk of pv over eastern Siberia and a horseshoe wedge of heights from Atlantic into the pole and down into mid Siberia/eastern europe. The cold/colder outlook gains momentum. 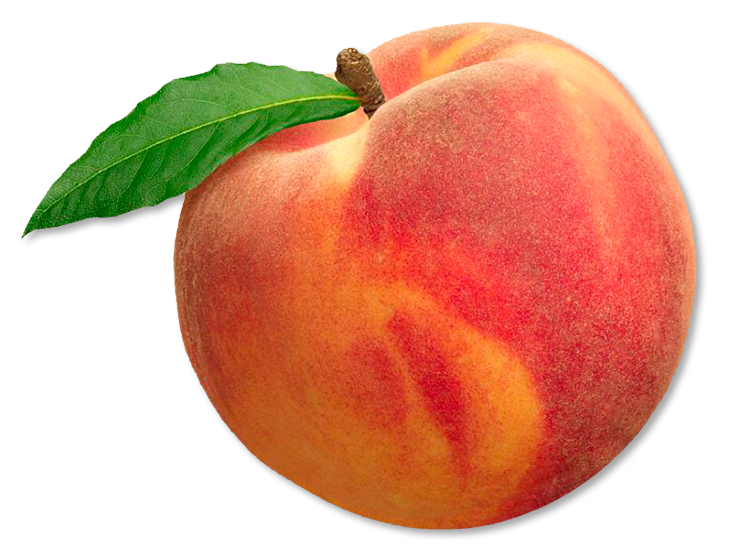 An' intresting beer run up-coming..
Keep looking for the peach! Ventrice going all out on this. Vortex in a real wobble. I reckon we will have an epic winter. I reckon we will have a potential 1979 on the cards.